Just making sure you have you are aware of all the general guidelines on Fire regulations, will allow you to put into place the essentials requirements for preventing and reducing the risk of anyone being hurt from a fire situation. BC Interiors has provided downloads from H&S to help you understand. Risk assessment of your premises, record of those on site, correct evacuation procedures, and the proper equipment in the correction positions, will all reduce the potential risk of anyone getting hurt. More information can be provided free with professional assessment from one of our partners. The Regulatory Reform (Fire Safety) Order 2005 received Parliamentary approval in June 2005 and came into force on 1 October 2006. It is the sole piece of legislation for fire safety issues. 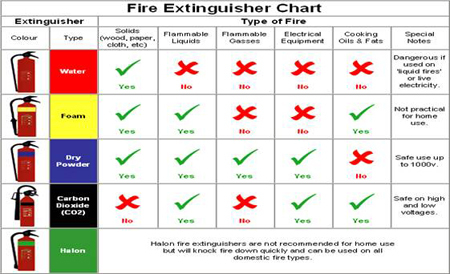 The main focus of the order is fire prevention. Fire certificates have been abolished and have no legal status. The local fire and rescue authority, the Health and Safety Executive, or other relevant local authority will remain the enforcing authority. Under the Reform Order, the 'responsible person' for the premises must carry out a fire risk assessment and nominate a sufficient number of competent persons (fire marshals) to assist in implementing the emergency procedures identified in the fire risk assessment.